Part2: Policy / Mission: Mental health, Ayush. You’re here. Topic in news Oct W2, 2014. Relevance (GSM2) Services relating to Health. Q. Examine the need for a national mental health policy and list the salient features of the new mental health policy 2014. 200 words. 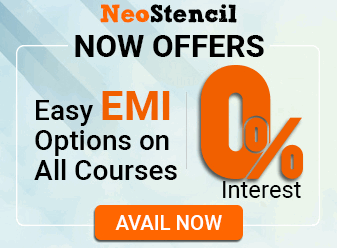 Why need a new policy? During British-raj: Acts for Lunacy and Asylum. But they only dealt with “custody” while ignoring human rights of such patients. Late 80s: Government enacted Mental Health Act, but many deficiencies, hence not implemented. Hardly 3500 psychiatrists in country. Indian society still stigmatises patients with even curable psychiatric diseases. Therefore, relatives delay or deny the treatment. There is bi-directional relationship of mental illness and poverty. Therefore, policy will have pro-Poor focus besides creamy layer families can afford mental healthcare. Caregivers of mentally-ill patients, will be given financial support. At district hospitals, new cadre of Government employees called “mental healthcare providers”. Auxiliary midwives will be given training for mental healthcare. New masters and diploma courses, to increase paramedics in mental healthcare. Government will give fund to modernize existing hospitals, open mental healthcare wards in them. Will reform mental hospitals to ensure dignity and human rights of women, children and old people. Mental healthcare bill in 6 months. 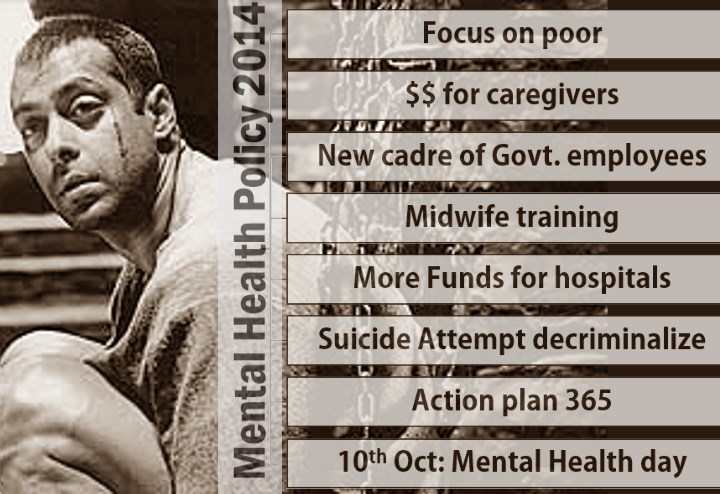 Mental Health Action Plan 365 with specific roles for the Centre, States, local bodies and civil society. Programs to combat drug abuse and alcoholism. Universal Health Assurance Mission (UHAM) will include mental illnesses. Attempted suicides will be decriminalized. October 10 to be observed as National Mental Health Day. To remove stigma associated with mental illness. To highlight the symptoms and remedies of depression, schizophrenia, bipolar syndrome. Topic in news SepW3, 2014. 1995: Government created a separate Department for Indian system of medicines. Latest addition: Sowa rigpa / Amchi. It is the traditional medicine system in Himachal and Ladakh. Ayush Department promotes education, awareness, research and quality control of these systems. Penetrate AYUSH more in the far flung areas. Benefits of AYUSH: cheap, flexible, less side effects, accepted by large public. Guys..please share how are u managing this current affairs part..I am reading newspaper religiously.. But when mrunal bhai updates more than 60% of the topics seems new..please help guys.. Very Nice Article,I liked the flow.